Free Practice 1 + 2: As usual the Kaufmann Drivers showed a good speed during the free test sessions, this time under very wet track. Race 1: In the first race Tveter made contact and needed to come in for a pit stop. He ended the race on P 23. Kevin Jörg had some fights for Top Ten position but dropped back to P 13 in the end. 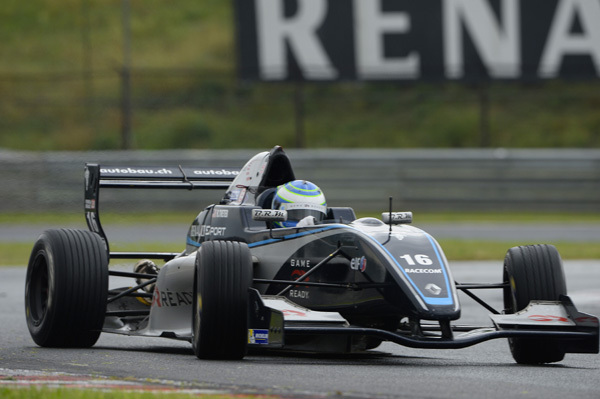 Gustav Malja drove the best race and took his first Top 5 result on P 5. Race 2: In the second race it was dry track again. 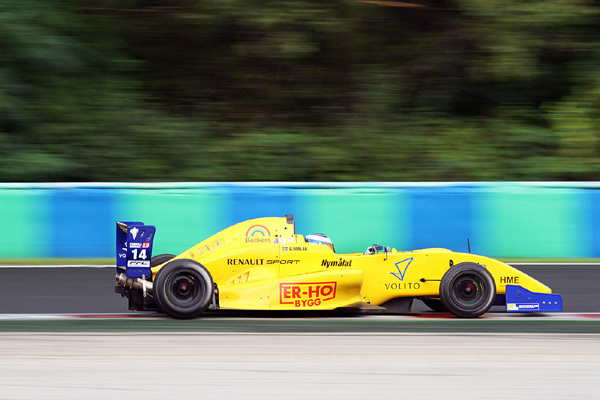 Tveter drove a good race and moved up to P 13 in the end. Jörg as well was able to move up some positions to score the final point. In the front Malja was driving a brilliant race on P 2. After a Safety Car period, the driver behind Malja made a too optimisitic overtaking move and Malja was forced off the track. 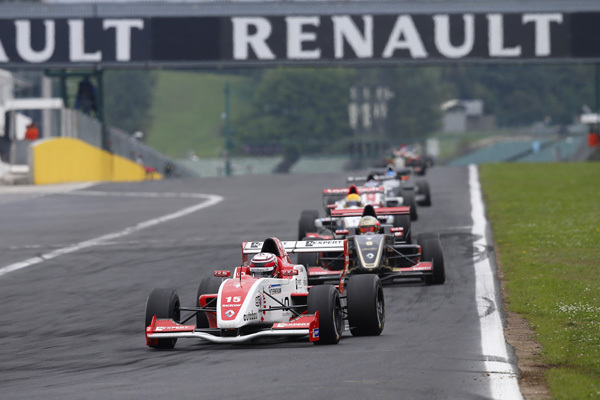 Due to that Malja came back on P 4 where he also finished the race.